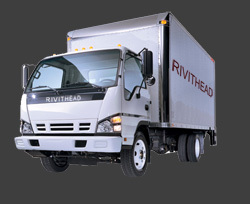 Rivithead is proud to offer free ground shipping on orders over $75.00 to the continental United States. Restrictions may apply. Free Shipping 6-8 Business Days $75.00 Minimum order. Applies to ground shipping only. Delivery times shown are only estimates. Actual delivery dates may vary depending on location and product. Please add items to your shopping cart and select 'Estimate Shipping Charges' to get a more exact delivery date for your location.